It's been a while since I've shared anything here. We've had a big excavation project going on at our house and our internet has been down for 3 weeks! Thank goodness it's finally over and I'm back online. I think I was suffering from withdrawal! The falling blossoms are from Oh So Eclectic, stamped in Soft Sky ink. I added a single image from the matching die-cuts with 3 small pearls to accent it. 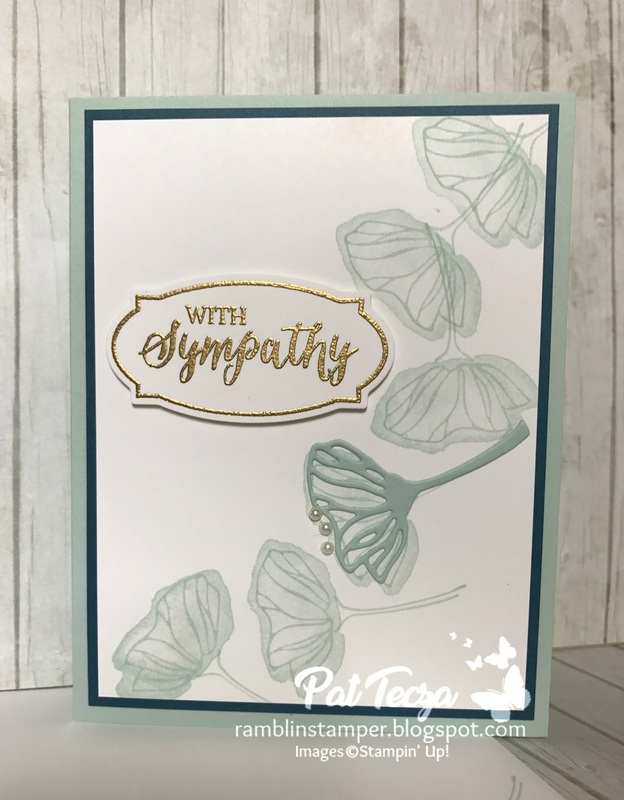 The card base is made of Soft Sky cardstock. The 4" x 5-1/4" mat is cut from Dapper Denim, and the card front is Whisper White. The "with sympathy" is from the Rose Wonder photopolymer stamp set. I stamped it in Versamark ink, sprinkled with Gold Stampin' Emboss Powder and used my Heat Tool to set it. I used the matching die-cut in the Rose Garden Thinlits to cut this but it would be simple to fussy-cut, too! It's attached with Stampin' Dimensionals. 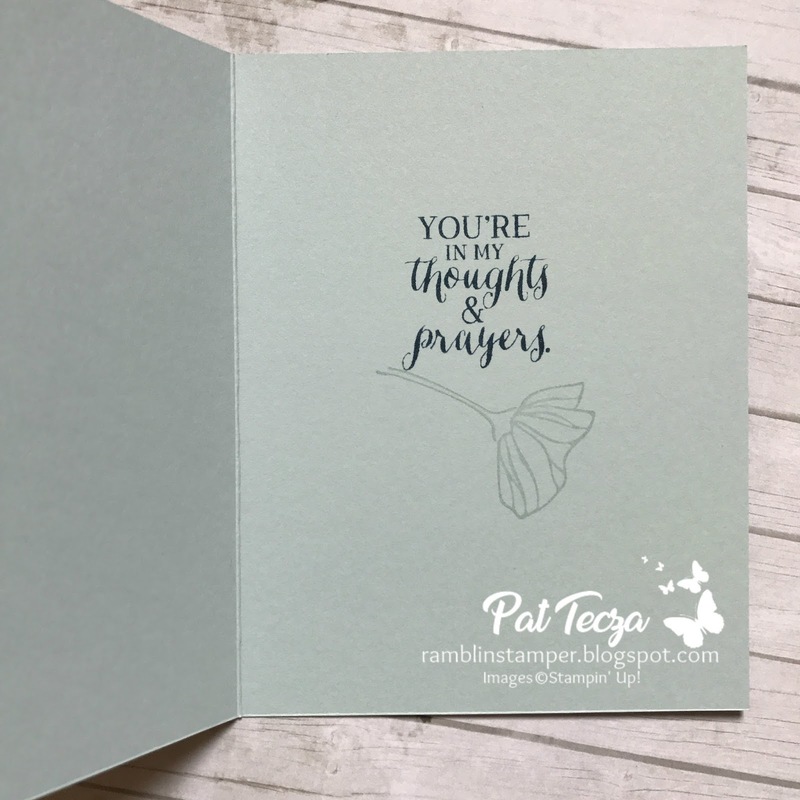 The inside is finished simply with one of the sentiments from Rose Garden (Dapper Denim) and a single blossom from Oh So Eclectic (Soft Sky). 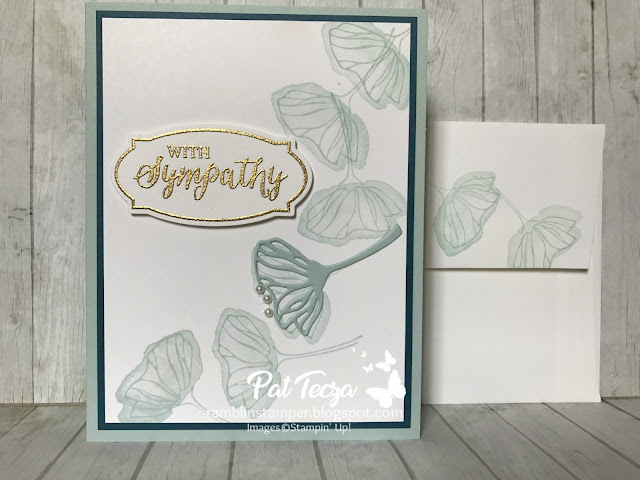 Sympathy cards are my least favorite to make but unfortunately, needed all too often. I like to keep them simple with soft colors. Sweet Sugarplum accented with Fresh Fig is another good color combination for this card. I hope you'll be inspired to try making this design!